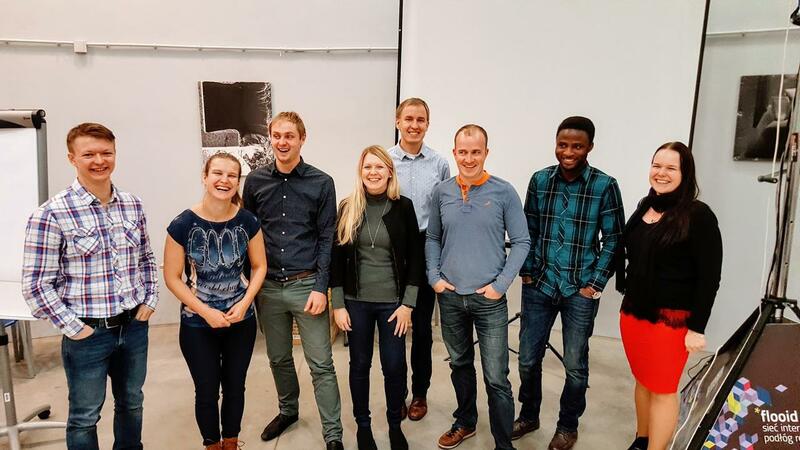 Startup Estonia’s partner Climate-KIC granted 8 outstanding young cleantech leaders with a professional mobility scholarship, under the Pioneers Into Practice initiative. With a goal to increase cooperation between countries and develop solutions for environmental issues, Pioneers Into Practice program gives an opportunity to get new knowledge and skills by going for a work placement abroad. Being put in a tough competitive selection process, they were chosen to join the program as representatives from Estonia. Each of them got a chance to work and learn in another organisation of their choice across Europe. After the work placement, they were given a task to join forces in addressing a critical environmental issue in Estonia. Their journey was supported by Estonian coach, a well known entrepreneur and a leader in sustainable business, Ivar Heinola, co-founder of Werrowool. 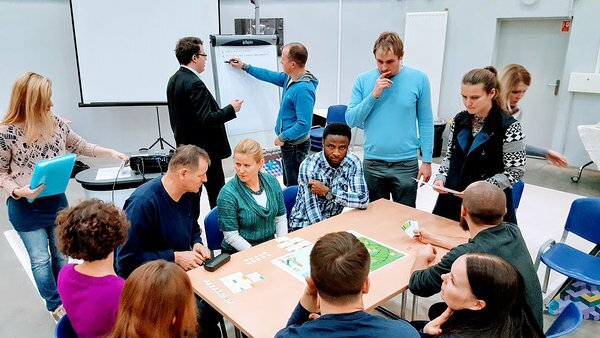 2 weeks ago, Estonian pioneers showcased their projects at the final workshop in Wroclaw. First project, Energy cloud is a platform for apartment residents that illustrates benefits of renovation and helps to find the most suitable solution to plan renovation process. Energy Cloud brings awareness of the issues that emerge if renovation process suffers from bad communication and planning between residents, and allows financial transparency during any renovation project. Watch the video of the presentation over here. The other project, Keep it balanced is a board game that gives awareness about problems of electricity production and consumption. Players cooperate as a stakeholders between each other to keep levels of CO2 low and grid stability high. Being inspired by other board games, the team behind Keep it Balanced came up with their own set of rules, cards, and gameboard created from scratch. Watch the gameplay here. Both projects turned out to be serious prototypes and funding-ready solutions. It took a lot of effort, as besides being at placement work in another country, pioneers had regular meetings with the coach to work on their projects and time management skills were quite essential during the program. We talked to our alumni to find out what were the highlights of the exchange programme personally for them. Timo Uustal has coordinated the Estonian National Climate Change Adaptation Strategy and Action Plan for 2017-2030 in cooperation with several environmental projects and academic background in sustainability field. Timo chose to do an exchange month at Climate-KIC office in Germany. He said that Pioneers into Practice was an eye-opening and professionally enriching experience, which contributes to building more climate-resilient Europe. Margus Kullerkupp is working on developing and manufacturing the solar energy-based ventilation and auxiliary heating device. For him, the program was a very unique way of networking and getting new contact all over the world. Tarvo Õng builds a VPP (Virtual Power Plant) to offer ancillary services to the Baltic TSOs, also known as Demand Response services. He provides services that can avoid building extra power plants that should cover peak loads in electricity consumption. For Tarmo, the most valuable thing was to see how different nations approach to tackling climate change. Pioneers Into Practice offered participants a unique opportunity to dive into another culture with different work style, mindset and tremendously various skillset. All participants agree that they created a whole new network of partners, advisors, work colleagues and friends in the country of their visit. It’s an enriching experience where a pioneer can shift within environmental topic to a different industry and learn about it, growing a more comprehensive understanding of how sustainable and climate solutions can work interconnected. And this was a great opportunity to go to warm countries like Spain and Italy in autumn too! Memories shared about the placements are all about seriousness & fun. Besides hard-work time, Pioneers enjoyed delicious wine and nice weather in Italy, and some of the even tried to capture sheep in UK. 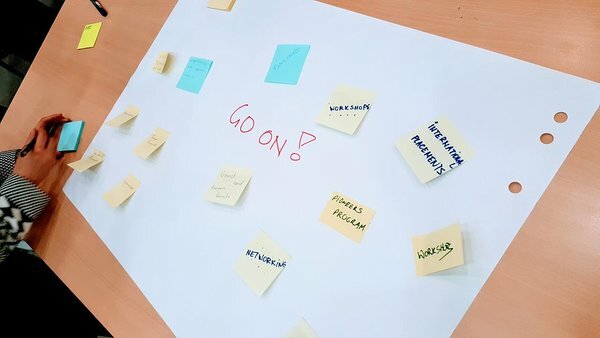 Pioneers Into Practice is an annual programme with participants all around the Europe, who create a synergetic network of experts from almost every environmental industry. Stay in touch to know about the next year application call for climate innovators. Visit https://pioneers.climate-kic.org for more details.